Jericho Brown is the recipient of fellowships from the Guggenheim Foundation, the Radcliffe Institute for Advanced Study at Harvard, and the National Endowment for the Arts, and he is the winner of the Whiting Writer's Award. 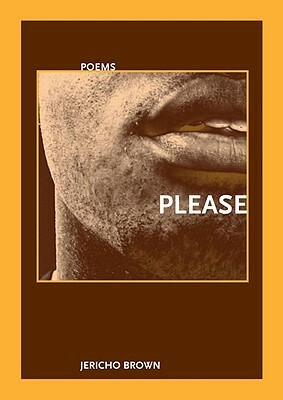 Brown’s first book, Please (New Issues 2008), won the American Book Award. His second book, The New Testament (Copper Canyon 2014), won the Anisfield-Wolf Book Award. His third collection is The Tradition (Copper Canyon 2019). His poems have appeared in The Bennington Review, Buzzfeed, Fence, jubilat, The New Republic, The New York Times, The New Yorker, The Paris Review, TIME, and several volumes of The Best American Poetry. He is an associate professor and the director of the Creative Writing Program at Emory University. Arriel Vinson: Tell me about your journey to publishing. Jericho Brown: I saw certain poems in journals I was reading and wanted to be among those poems. I had this weird sense that I could make my conversation with a poem manifest if I could get my own poem next to one. But I'm not sure I would have gone through with any of it if it didn't directly affect my ability to make a living. I was more likely to be considered for academic jobs if I had publications. I'm probably the last poet to get a really great job like that without a book, but I had to have a book to keep that job, to get tenure. The Tradition is the first book I've ever written that exists because I'm a poet, and not because I'm a poet who has to eat. AV: Your last collection, The New Testament, was published about five years ago. How much did you write for The Tradition during this time? And how did you resist the pressure to constantly publish collections, in a time where people want creative work instantly? JB: I think there are one or two poems in The Tradition that I excised from The New Testament because they weren't really ready for the world or because they didn't fit thematically. I just work on one book at a time and I let my work evolve on its own so it seems to have some agency, some say in what it wants to be about. I mean, I just write poems and when I have about 50 pages of poems, I see if they have anything to do with each other. And if they don't, I just keep writing poems until it looks like they do. If they do, I write more poems with the knowledge of what the earlier ones have in common. Then I put the poems in an order that I think makes for enchantment. Then I give that order a title and pray my Michael Wiegers will say he'll take it. Then I push the book as hard as I can as a testament to my belief in standing by and taking responsibility for whatever I make in this world, whether it's a book or a mistake. I don't feel pressure to publish constantly, and I thank God that I don't understand why anyone else does feel this way. I've read a lot of poetry, so I know there are plenty of folks we love and revere who’ve had very few books (Bishop) or no books at all (Dickinson). And I don't see why I would aspire to something everyone seems to be complaining about. I just write my poems for the pleasure of it. If I had more poems done and ready faster, I'd publish more books I guess. But I don't do this to publish. I'd write if I wasn't allowed to publish. It takes me time because I like to take time. I don't think anyone else has to like that. I just enjoy myself as long as I can and revision takes me longer than it does for others. AV: The Tradition includes the duplex, an invented form of yours. How did you create this and why? How do you think it contributed to the collection as a whole? JB: I just wanted to make a mutt of a form that reflected how I feel about the single architecture of a human being holding several identities, so I invented a form that merges the ghazal, the sonnet, and the blues. The entire book is about questioning what we think of as traditional and that meant upending traditional forms. AV: In an interview with Divedapper, you say poetry is a way for you to “think and rethink tradition.” What tradition are you writing in and what tradition do you believe you’re creating? JB: Oh, I'm a black gay Southern poet. I'm writing poems that tell the truth and that encourage someone to be more truthful. AV: Did you draw inspiration from your previous collection in any way? How so? JB: Well, I was thinking about how I know more now than what I knew when I wrote Please or The New Testament. And I was thinking that this was my chance to use some of the other things I was better at doing. There are little failures in those two very good books I'm very proud of. This book gave me a chance to try at some of those devices and ambitions again with more reading and writing under my belt. AV: A lot of poems in The Tradition focus on black motherhood. How did you arrive at these poems? JB: I took all the lines I ever wrote with the words "woman" or "mother" in them, going as far back as 2005 to failed poems and unused lines sitting in the Notes app of my phone or in a Word document on my computer. I cut up the lines into slivers and put them all over my floor and grouped them associatively. I looked at each group and decided an order for the lines that seemed to reveal a new way of seeing to me (about my mama and about other things too). Then I called that order a first draft and started revising it. AV: In a lot of your poems, both in The Tradition and elsewhere, God/the concept of God seems to be a question. Can you tell me more about that choice and exploration? JB: I believe in God, and I think that's hilarious. I believe we should be writing about whatever we find ourselves turning to (and that included God, for me) and whatever we feel wracked by (the hilarious fact that I believe in God, for me). AV: What are you working on now? JB: This was my third set of interview questions tonight, so I guess I'm working on being a talk show guest and starting at the bottom rung by typing the answers I'd have for Kimmel. Arriel Vinson is a Tin House Winter Workshop alum and Indiana native who writes about being young, black, and in search of freedom. She is an MFA Fiction candidate at Sarah Lawrence College and received a B.A. in Journalism from Indiana University. Her poetry has appeared in Waxwing, [PANK] Magazine, HeART Journal Online, and also won third place prize in LUMINA Journal, judged by Donika Kelly. Her fiction has been featured in Lunch Ticket. Arriel's work has also appeared in Electric Lit.